The Earth is under attack: global warming, water and air pollution, coral reef bleaching, pesticides in the foods we eat, and toxins in the products we use every day. It all seems overwhelming. 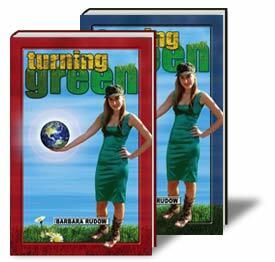 The good news is that each of us can help turn the world green again! When Jessica Assaf found out that harmful chemicals were hidden in the products that she and millions of other teenagers used every day, she decided to do something about it. Unwilling to back down to the billion-dollar cosmetic industry, Jessica (along with the girls from an organization called Teens for Safe Cosmetics) began organizing events and rallies to help spread the word about “green makeup” alternatives. She was even able to help get a Safe Cosmetics Bill passed in California! Includes the Home Run and Touchdown audiobooks on a single device!